Last year we took 4 trips and felt like we overdid it a bit. It didn’t give us much time to actually ski locally in Tahoe, so this year we planned only 2 trips and the second one was pretty ambitious. 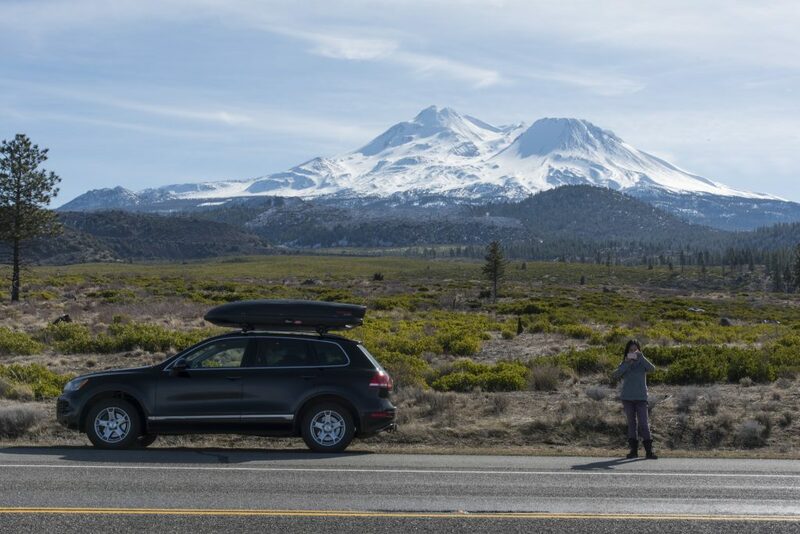 Over 12 days we would drive up from the Bay Area to Mt. Hood and then further north into interior British Columbia to get some of the more remote resorts on our list. Then we would head west and pick up our new travel trailer and drive home, camping 2 nights. 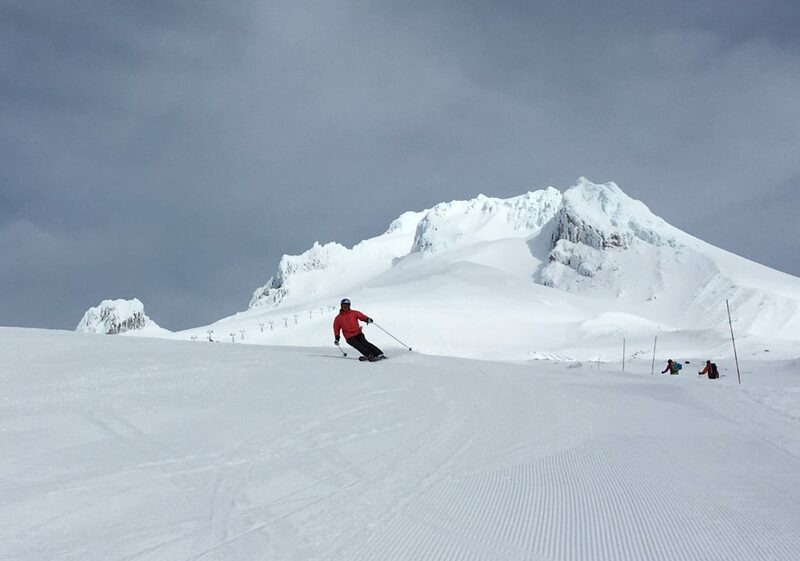 Skiing Mt. 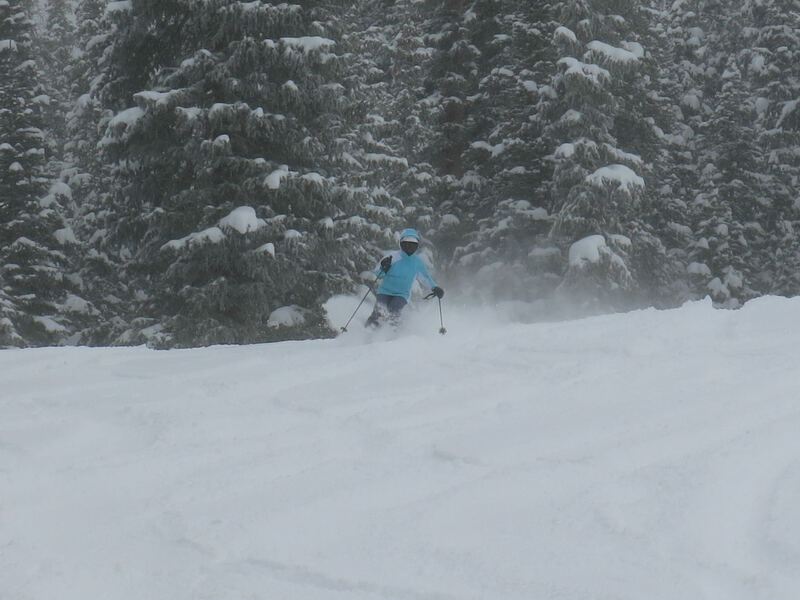 Hood is tricky because they get a lot of rain and strong storms that close the upper lifts at Timberline and Mt. Hood Meadows, so we didn’t commit to going there until it looked like we would hit good weather. Luckily we got some of the best weather of the season with sunny skies, recent fresh snow, and no wind. 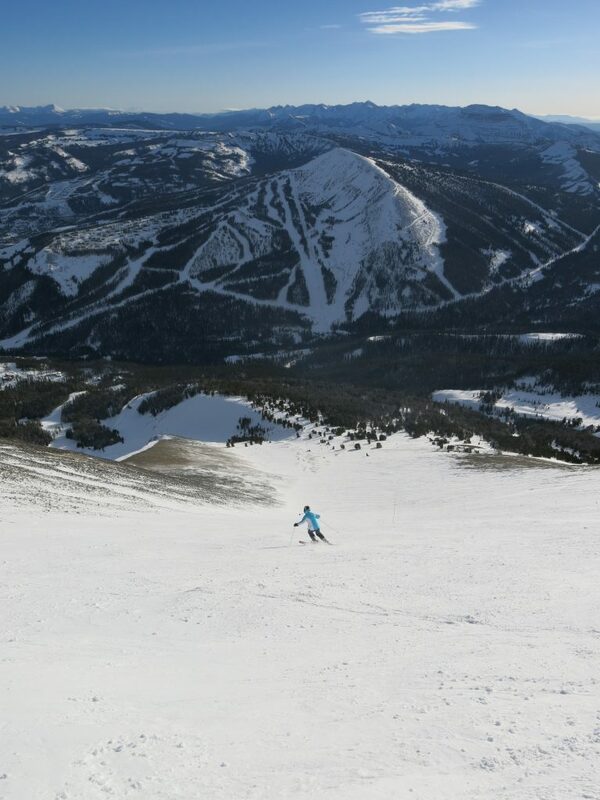 We skied the 2 main resorts on Mt. Hood: Timberline and Mt. Hood Meadows, and one of the most unique resorts on our list that specializes in night skiing: Mt. Hood Skibowl. 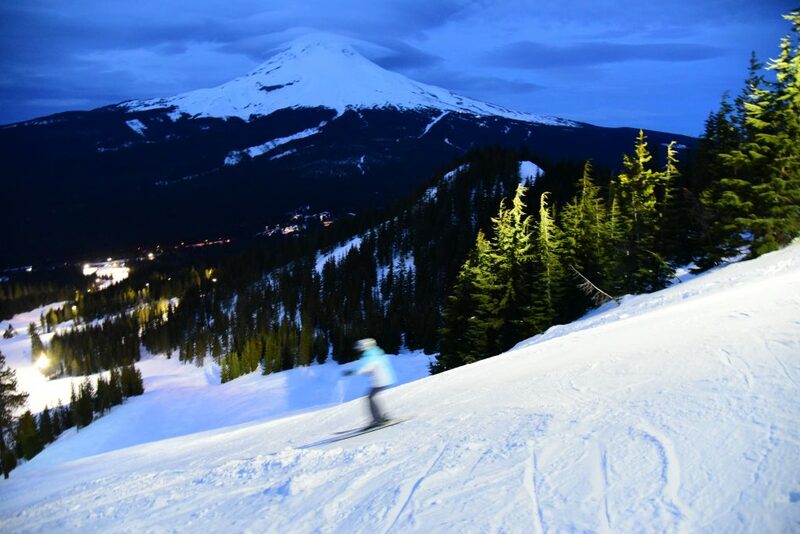 The most fun we had on the whole trip was skiing from 5-10PM at Skibowl under the lights. 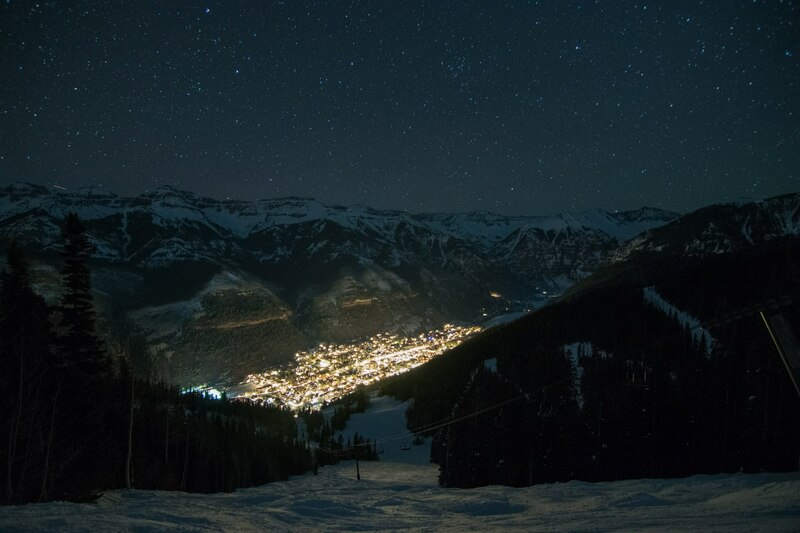 Ski magazine called them the largest night skiing operation in North America (which is probably not true) but what is certain is that they have some of the steepest night skiing terrain in North America. Their upper lift is seriously steep and they groom a lot of it. Later that night after we finished night skiing it started pouring rain, so it’s a good thing we were heading north the next day. We drove 442 miles pretty much due north to Penticton B.C., and there wasn’t a moment that it wasn’t raining. At several points there were rivers flowing down the middle of the road because the large snow banks funnel the water right down the road. Eastern Washington suffers from freezing rain and the forecast was for up to 1/3″ of ice accumulation, but luckily that didn’t happen. This is part of the challenge of this project and we are going to hit bad driving weather frequently. Our first resort in B.C. was Apex Mountain, and that place is fantastic. There is a tiny village located far up a lonely road that winds up the mountain. At one point we wondered if we were going the right way because there was no traffic or indication that a ski resort was at the end of the road, but we eventually got there. 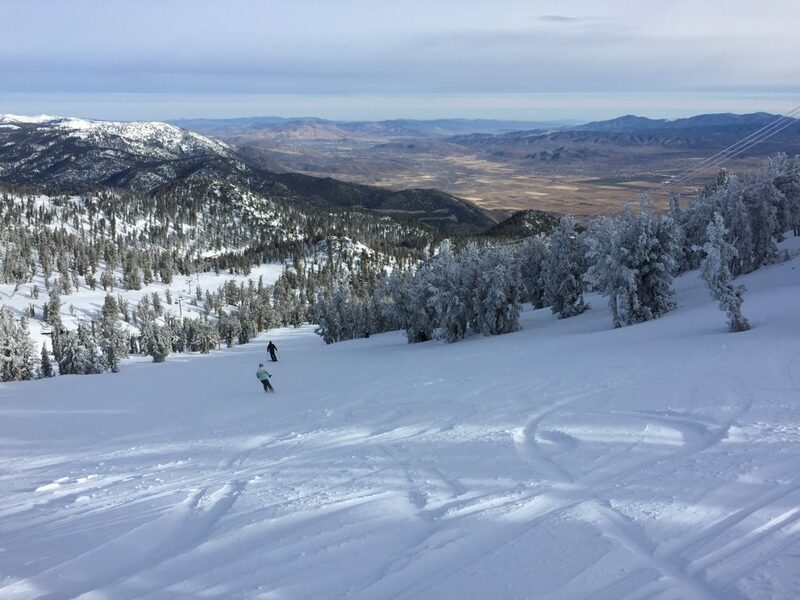 There were probably less than 200 people skiing the 1100 acres that day and it was almost surreal to us coming from the crowded California resorts. 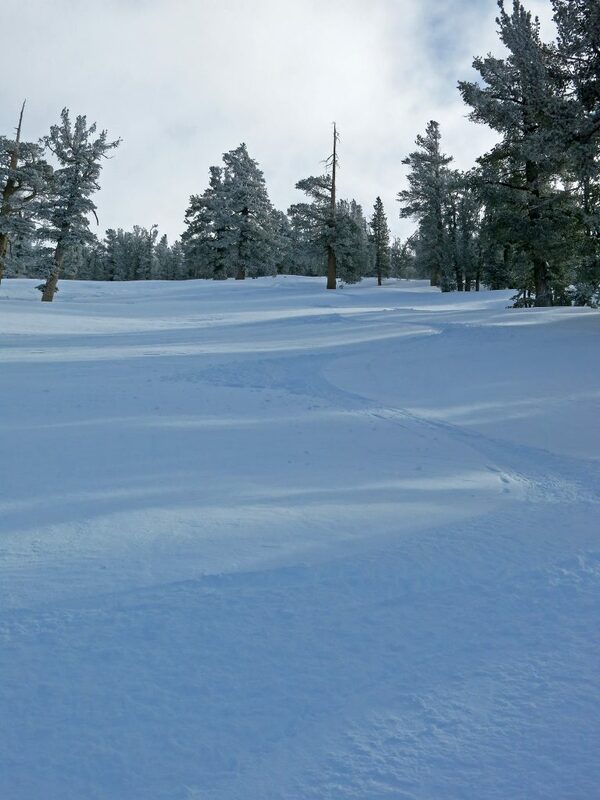 Conditions at the end of the day were similar to those that can only be found in the first hour at most of our frequented resorts — patches of untouched powder on the recently groomed runs, and smooth everywhere. We stayed the next 2 nights in Kelowna which is a surprisingly urban and built-up city around a huge lake. There are many towns there and they all form one large population center without much to distinguish between them. It’s beautiful though, and would be a great place to live. The weather is very mild without much snow on the ground. 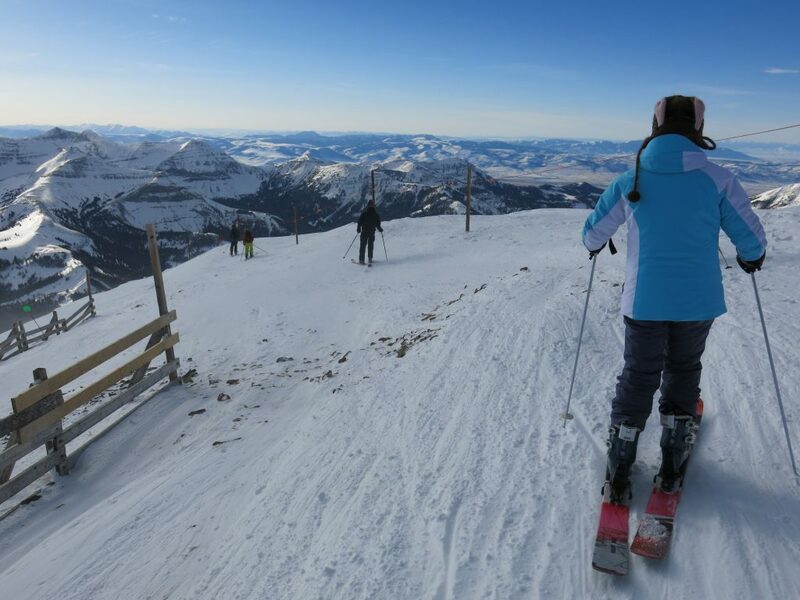 You need to climb up a couple thousand feet to get to the bases of the ski areas. 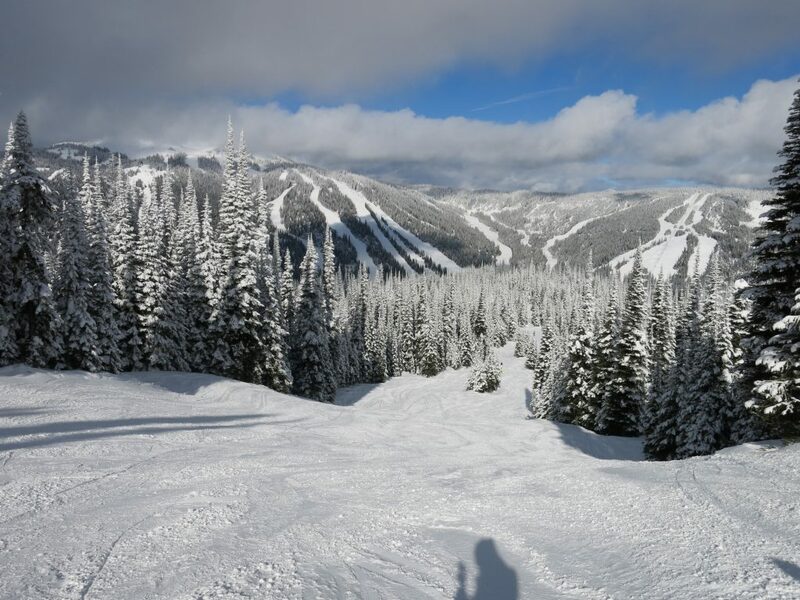 We skied Big White and Silver Star from that home base and then moved on to Kamloops where we skied Sun Peaks for 2 days. People in Canada were so friendly and we loved it — especially in Kamloops and Sun Peaks. They seemed genuinely thrilled that we had driven up from California to ski there. We also found the food to be excellent and prices for everything were cheap (except for diesel fuel), and especially when you consider the exchange rate to US$. 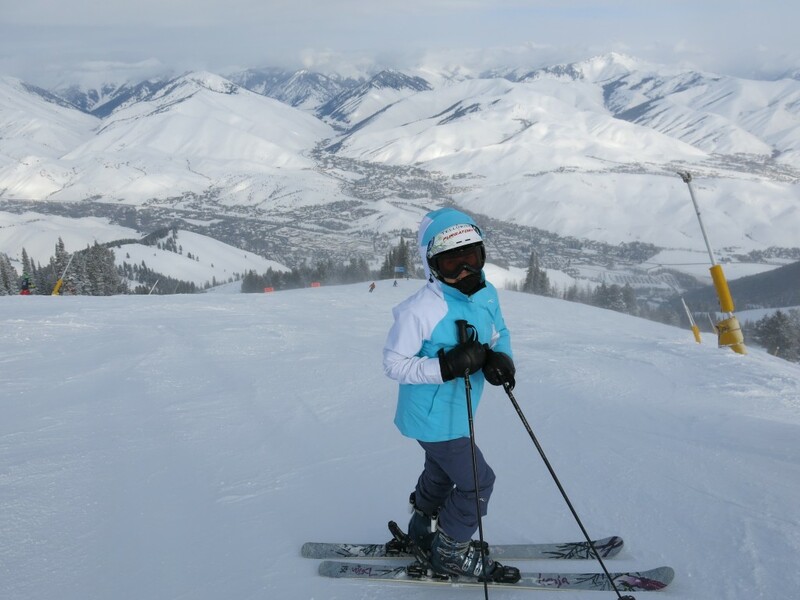 It is pretty much skiing heaven for us and we can’t wait to go back. 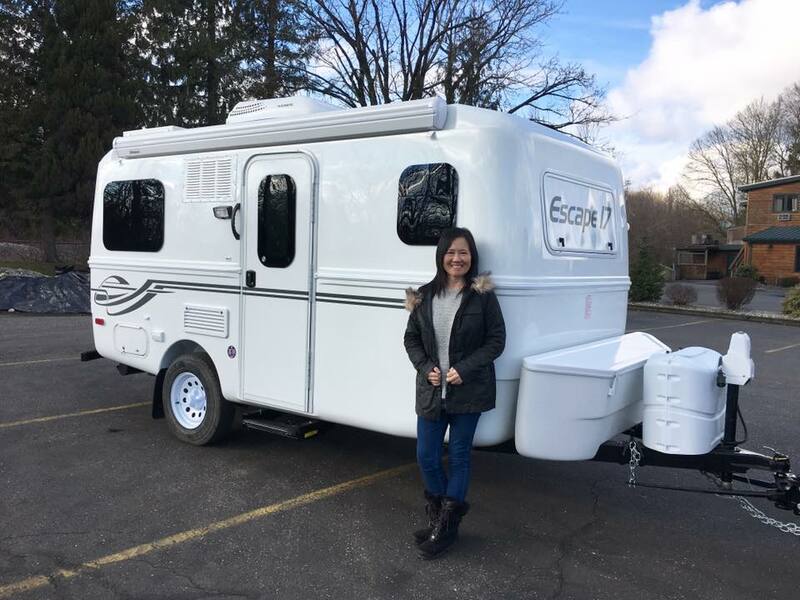 This trip came about because we had ordered a 17-foot travel trailer from Escape Trailer Industries in Chilliwack, BC in April 2016. It was originally supposed to be ready in May 2017, but the production date got moved up to Feb 7th and we jumped on that opportunity to ski before picking up the trailer. So after 2 days of skiing at Sun Peaks we hopped back in the car and drove 200 miles to Chilliwack. Highway 5 is an amazing drive between Kamloops and the coastal lowlands. We picked the trailer up the next day after Escape exported it over the border for us. We were delayed for well over an hour trying to get back in the U.S. Welcome Home! Back in the U.S. we spent 2 days driving home and spent 2 nights in the new trailer. 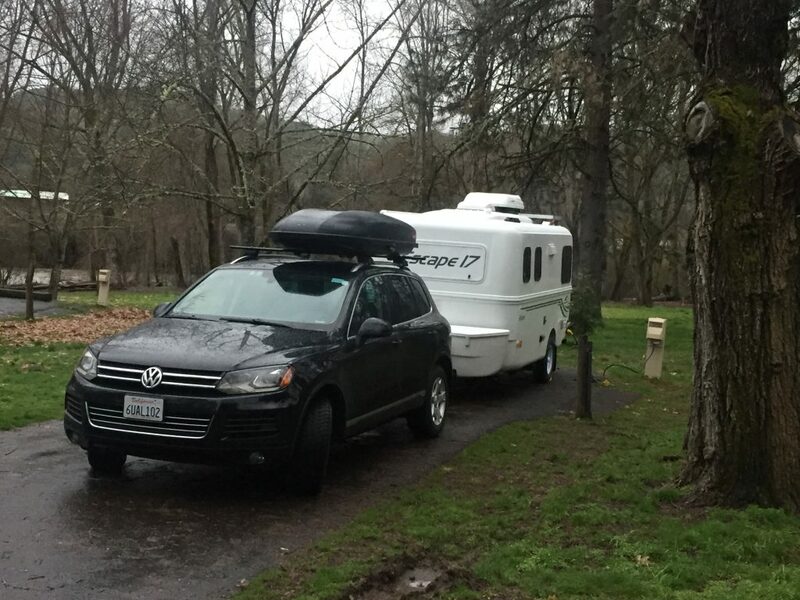 The first night was at AiRung’s friend’s driveway in Seattle, and the 2nd was at Valley of the Rogue state park in southern Oregon. It was nice getting back to California where there was lots of green grass and blue sky, but we were already missing interior B.C. and won’t forget this trip for a long time. 7 new resorts in a single trip is a new record. We don’t plan any other new resorts this year, so 64 resorts completed will be the final count. That’s 10 new resorts this season, which is far more than our average. 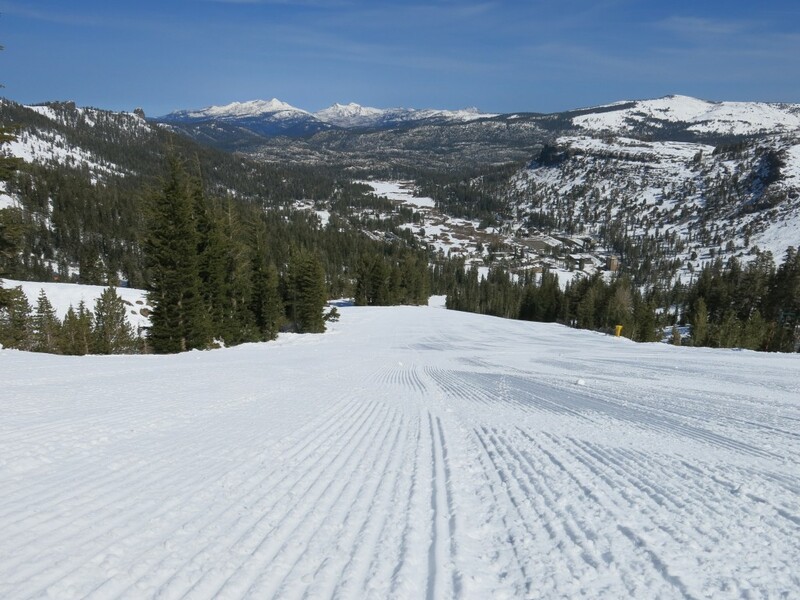 At this point of the season in early March our local resorts Heavenly and Kirkwood have received over 550″ of snowfall and the skiing is excellent (when the wind isn’t blowing). We plan to finish out the season strong over the next 7 weeks with many weekend trips planned. This entry was posted in Uncategorized on March 5, 2017 by Ron Thompson. 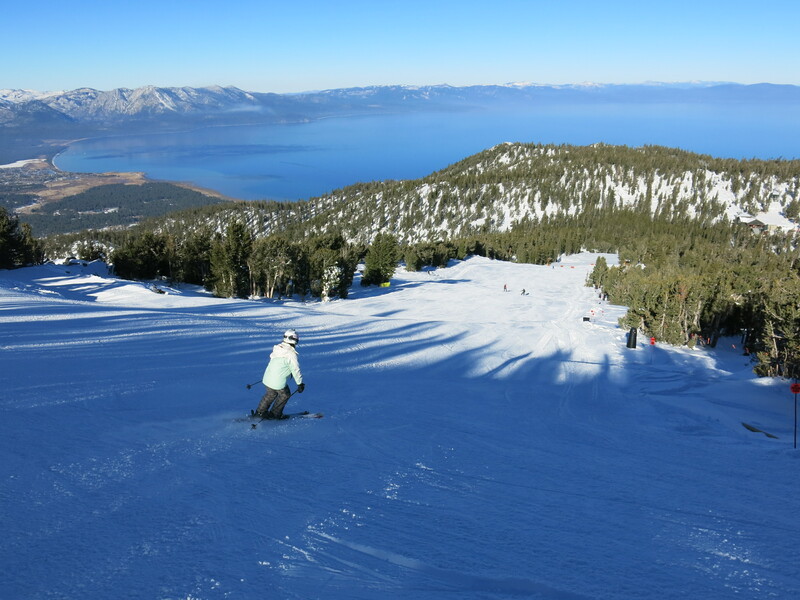 It’s been a busy ski season for us and we just finished our 3rd and 4th trips away from our home Tahoe resorts. We have an aggressive schedule this year with the plan to ski 8 new resorts. So far the plan has worked out perfectly with 6 down, 20 ski days for me and 17 for AiRung. 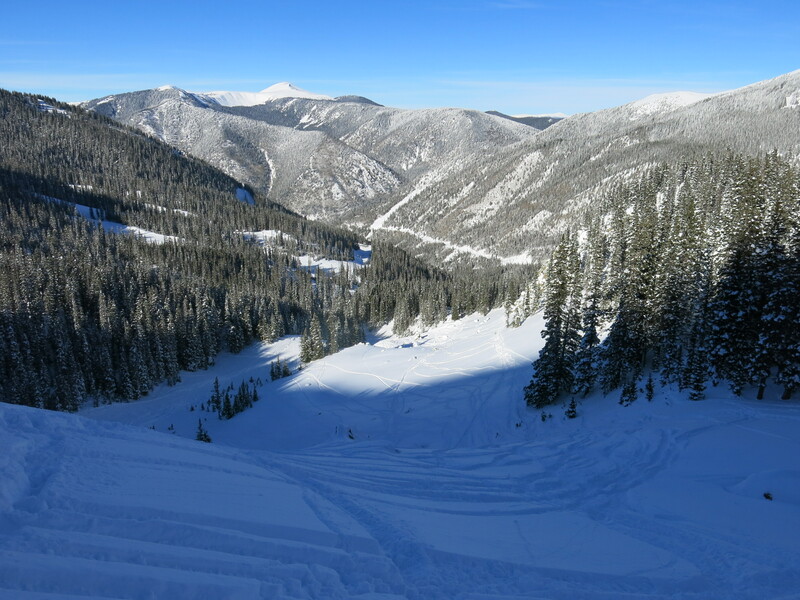 January 9-13 was our trip to New Mexico to ski the last 2 resorts that are typically accessed from Albuquerque: Taos and Wolf Creek. We had to plan this one pretty far in advance so we had to cross our fingers for good weather and we definitely got it. There were 3 storms that came through the state the week before we arrived and then cold temps kept the snow soft for all 3 days of skiing. We will have a full report later, but for now we will say that Taos was very challenging so it’s a good thing we waited to ski it until AiRung was a very good skier. It was very beautiful and we will remember this one for a long time. It was also the 50th resort on our list, so we are half-way through the project! 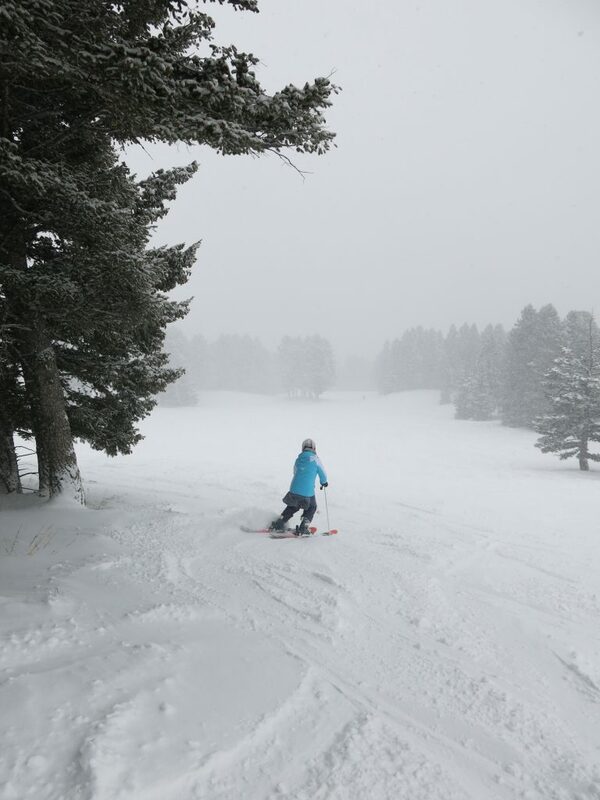 After 2 days at Taos, we headed back up to Colorado to hit Wolf Creek. 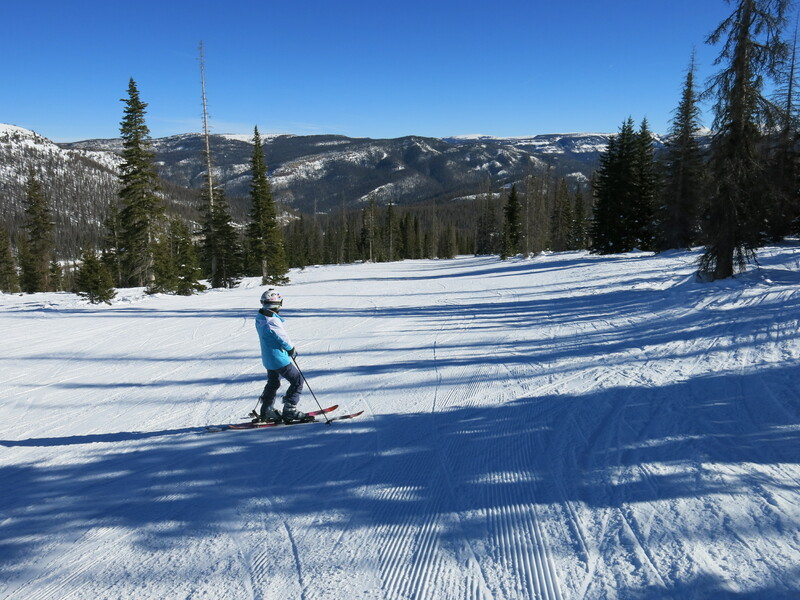 Wolf Creek is known for having the most snow in Colorado and they had received 269″ of snow by mid-January so we weren’t disappointed (in the snow at least). However, we found Wolf Creek very lacking in terrain quality and we were bored by 1:30PM. The best part about Wolf Creek was staying in the historic Windsor Hotel in Del Norte, Colorado. The hotel was built in the 1870’s and recently reopened after an extensive remodel. The valley where Del Norte is located is notorious for very cold temps and we experience a little of that with -11F in the morning. 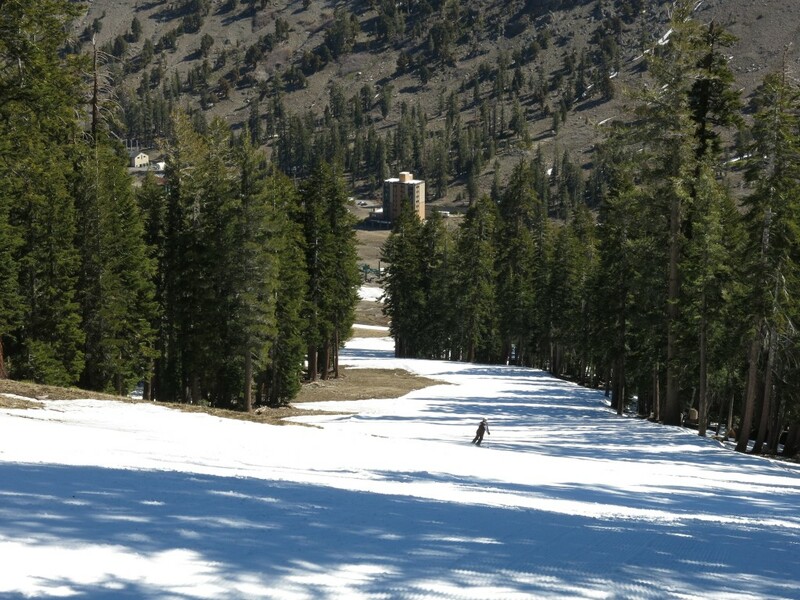 We only had 3 days at home before we hit our 52nd resort, China Peak in California. This was a quick day trip from our house since it is only 209 miles away. This is the last resort on our list in day-trip distance, and also the last resort in California. 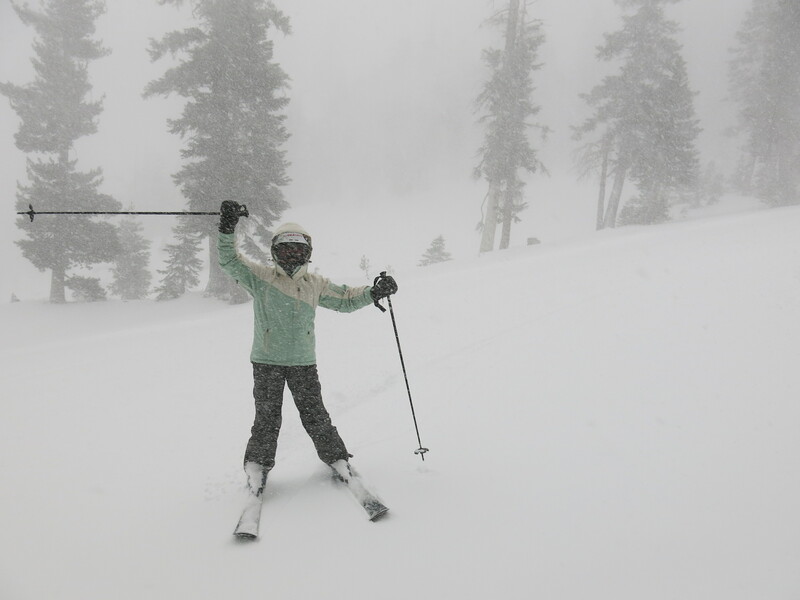 It was a good day to head down south for skiing because it was raining in Tahoe up to 8,000+ ft., but the rain did not go that far south so we actually had really good conditions. Our passes were blacked out in Tahoe anyway. China Peak was another pleasant surprise, with varied, consistent terrain, a decent vertical, lots of acreage, and great grooming. We thought this was going to be the worst resort on our California list, but that wasn’t the case at all and we will definitely return some day. 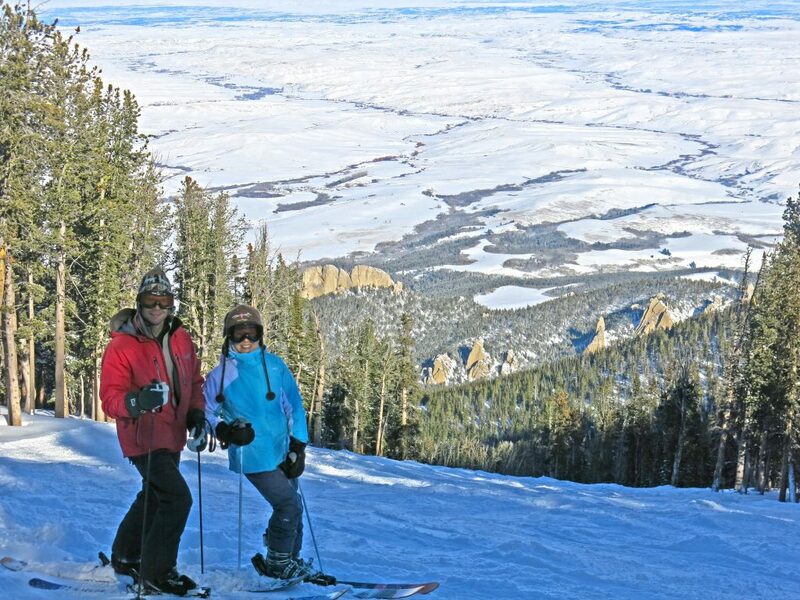 The next trip is Aspen in early March, so for the next 7 weeks we will be skiing our home resorts in Tahoe. This entry was posted in Uncategorized on January 18, 2016 by Ron Thompson. Another one of our annual road trips is in the bag. Every year we drive somewhere for skiing starting the day after Christmas. 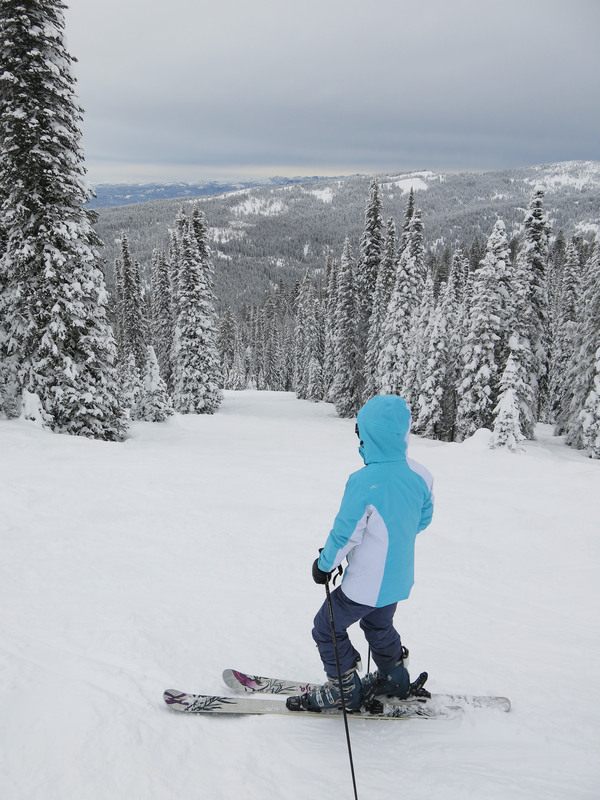 This year we drove to McCall, Idaho to ski 2 new resorts: Brundage and Bogus Basin. 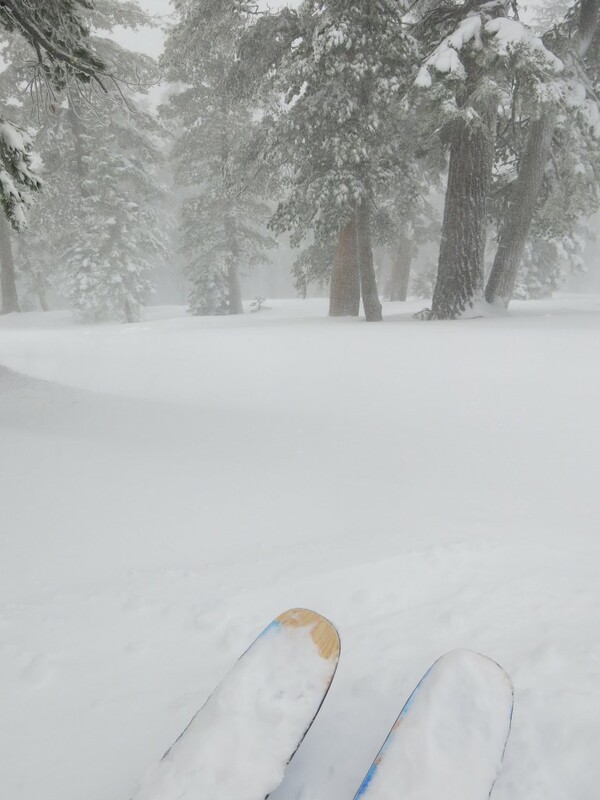 Both of these resorts had some of the best conditions in years, snowing right up until the day before we got there. We happened to hit some below-average temperatures on this trip, and when it’s below-average in late December, it’s pretty cold. We never saw temps above 21F (Boise) for the entire time we were in Idaho. The lowest was -11F just south of McCall near Tamarack. AiRung had her new electric boot heaters so it was tolerable even if somewhat uncomfortable. 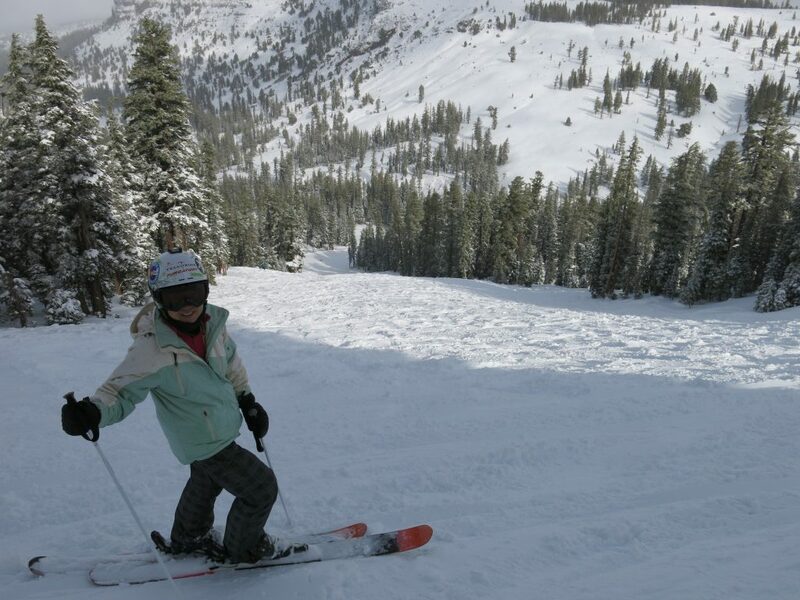 Cold temps make for great snow conditions though! 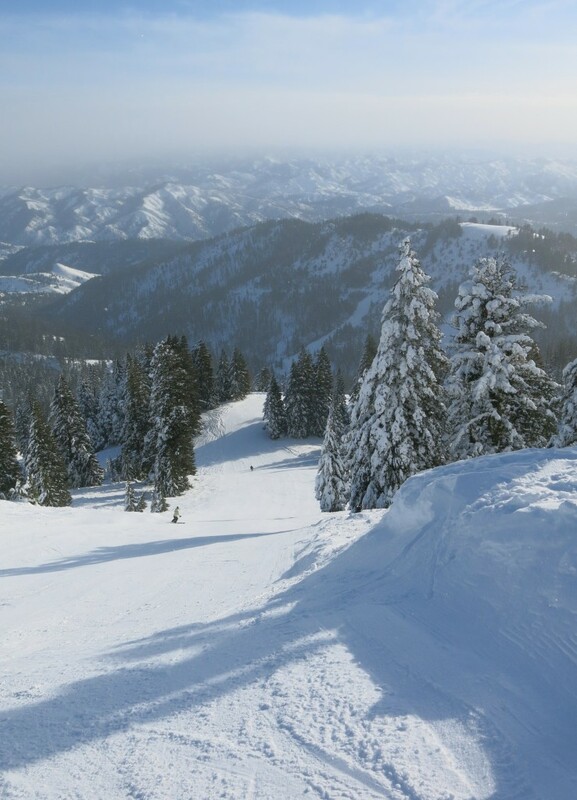 Bogus Basin was a very pleasant surprise and was the highlight of the trip on the 2nd day of skiing. Bogus has a very windy access road that goes straight up the side of the mountain from downtown Boise. It’s a very unique situation similar to Ski Santa Fe in New Mexico. After Bogus Basin, we headed to Sun Valley which we first skied together in 2013. This time there was lots of snow, with about 60% of their annual average already having fallen by the end of December. This is very unusual and was a stark contrast with our 2013 visit where there was almost no natural snow but lots of snowmaking. This time they were 100% open so we got to get a better feel for the resort. One of the reasons we went to Sun Valley is because we bought Mountain Collective passes this year which gave us 2 days of skiing at Sun Valley and several other resorts on our list, We did have to pay for tickets at Brundage and Bogus, but with discounts we paid less than $50 for each ticket. 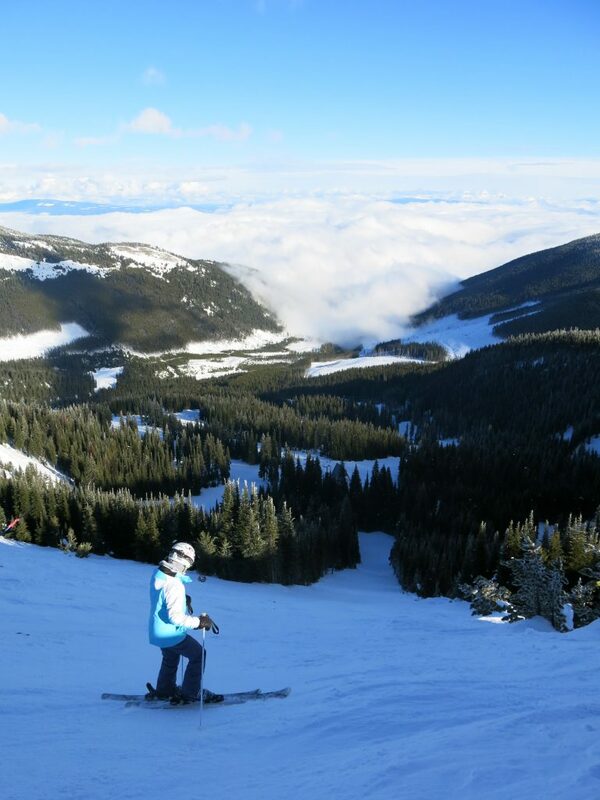 Skiing at these smaller areas in Idaho is cheap! So that brings us to 49 resorts. #50 will be Taos, New Mexico on January 10th. We fly out next weekend so not much rest for us this ski season! We have already skied 16-days (Ron) and 13-days (AiRung) this season so it is going to be a very good year if the snow continues. This entry was posted in Uncategorized on January 3, 2016 by Ron Thompson. For the past 2 years we have had to wait until mid December to get any real skiing. 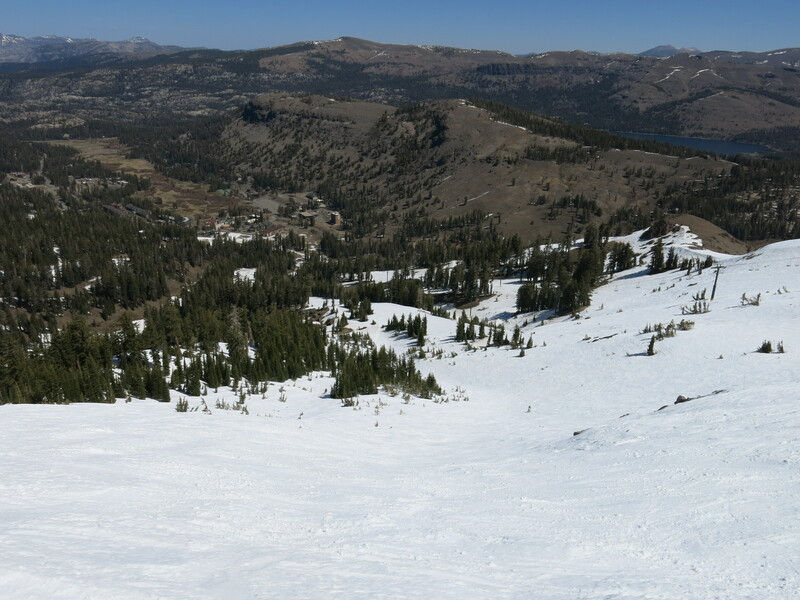 I saw a webcam grab from Kirkwood 2 years ago on this day that showed brown grass and very little snow. Last year was even worse. Looks like our luck (or the weather at least!) has changed, because this year both Heavenly and Kirkwood opened a week early on November 14th, so of course we hit opening weekend. 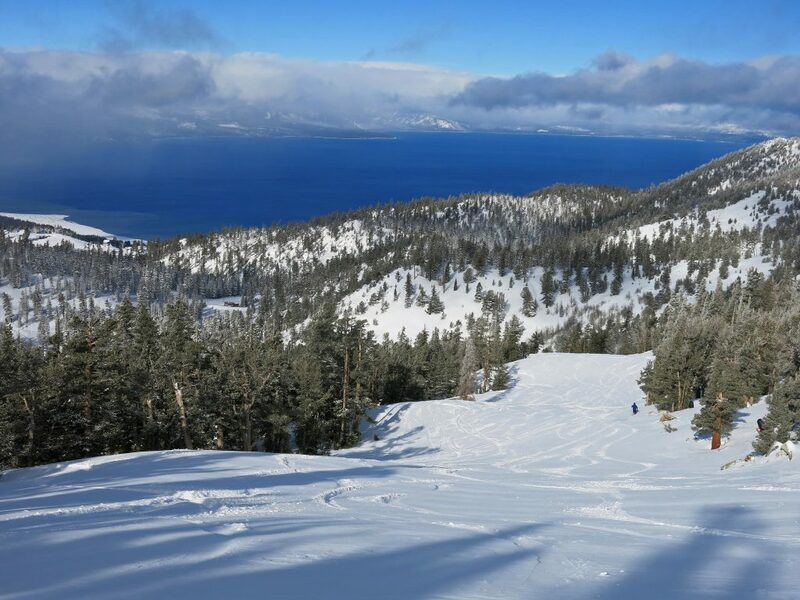 We chose to ski Heavenly on Saturday because a strong storm was predicted for Sunday, and with access only possible from the Gondola, it was certain to be shut due to strong winds. It was surprisingly fun for just having 2 main runs open. The crowds weren’t that bad, and the snow quality was great. Add in a bluebird day and those views of the lake and it was definitely worth it. Sunday we went to Kirkwood. When we left the house at 8:15AM the sun was out with very few clouds. 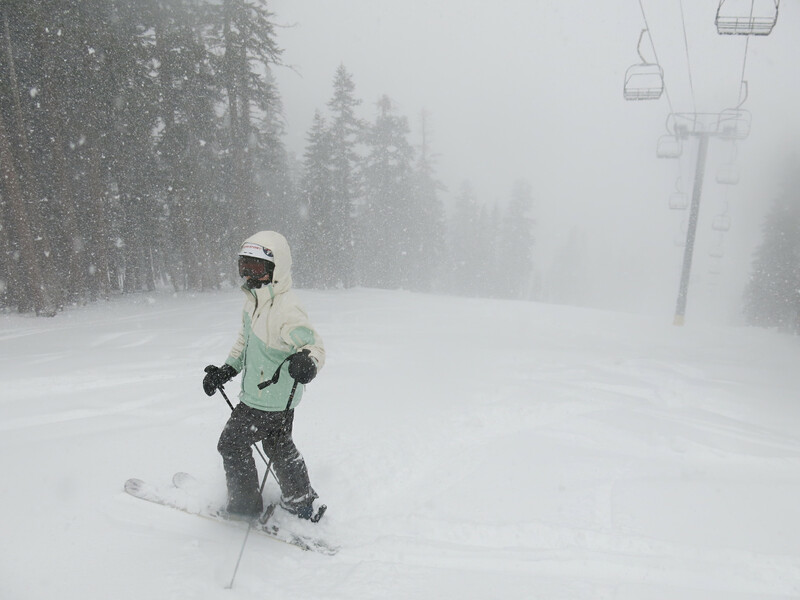 By the time we got to Kirkwood 40-minutes later it was a full-on blizzard. Chair 11 opened for the season and we caught the 4th chair. 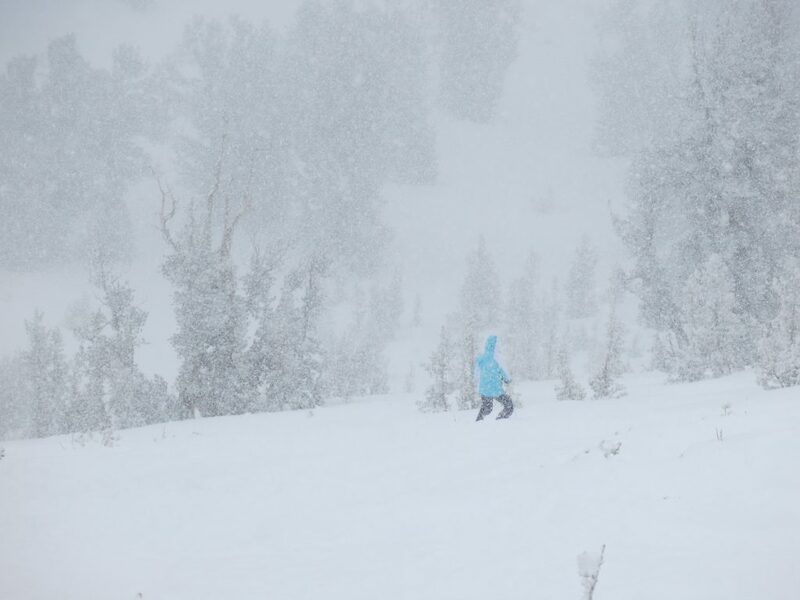 They ended up getting 14″ out of the storm, and probably 50% of it fell while we were there. 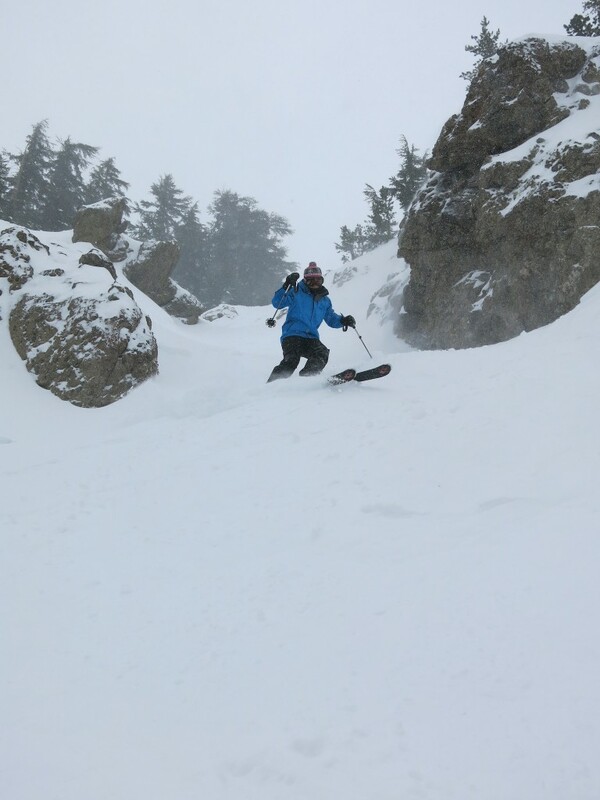 There was a lot of terrain open and very few people so it was classic Kirkwood magic. 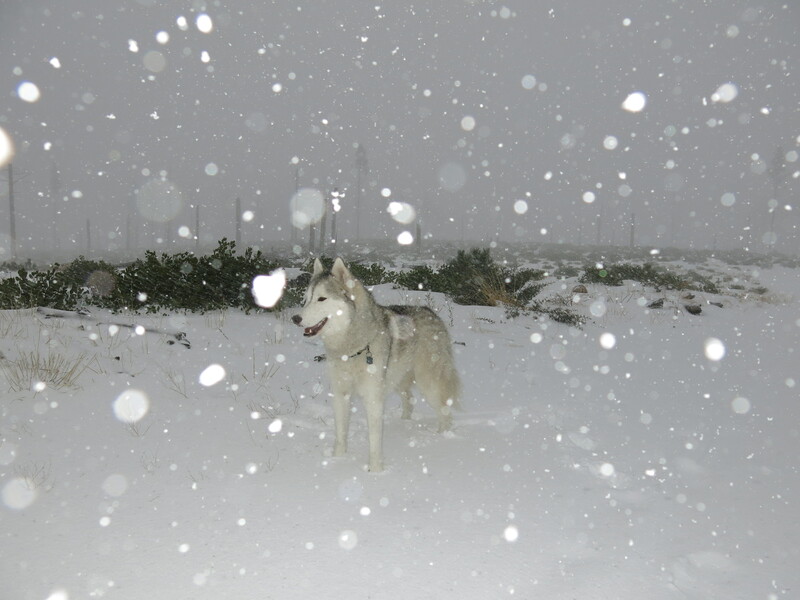 Later in the afternoon our Husky Sammy got in on the fun too. So this was an awesome start to the season. We are now looking at the strongest El Nino conditions ever recorded. I’m not sure what that will mean to snowfall this year, but so far so good and we will hope for more of these consistent storms coming through! This entry was posted in Uncategorized on November 17, 2015 by Ron Thompson. This is the 2nd to the last weekend for us skiing in Tahoe. 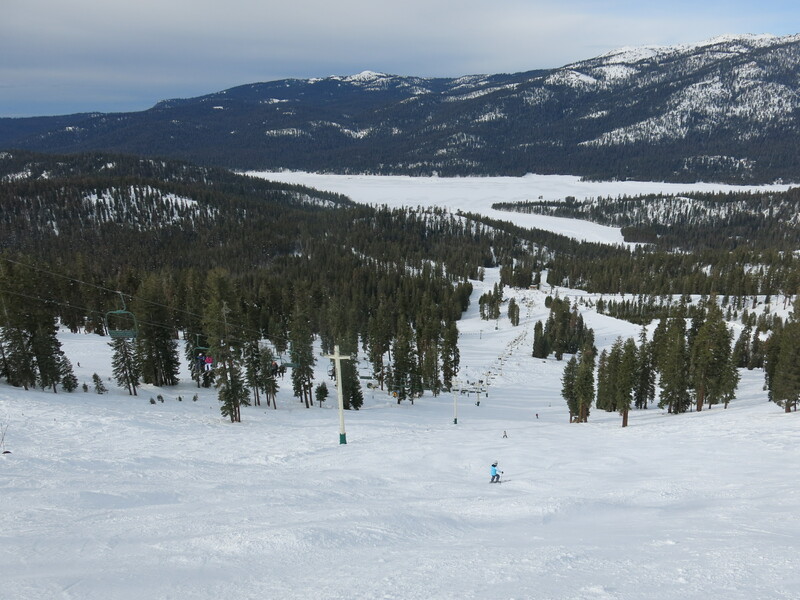 Kirkwood is saying they will be operating on a “day to day” basis but probably won’t make it to next weekend, and Heavenly’s last day will be April 19th. 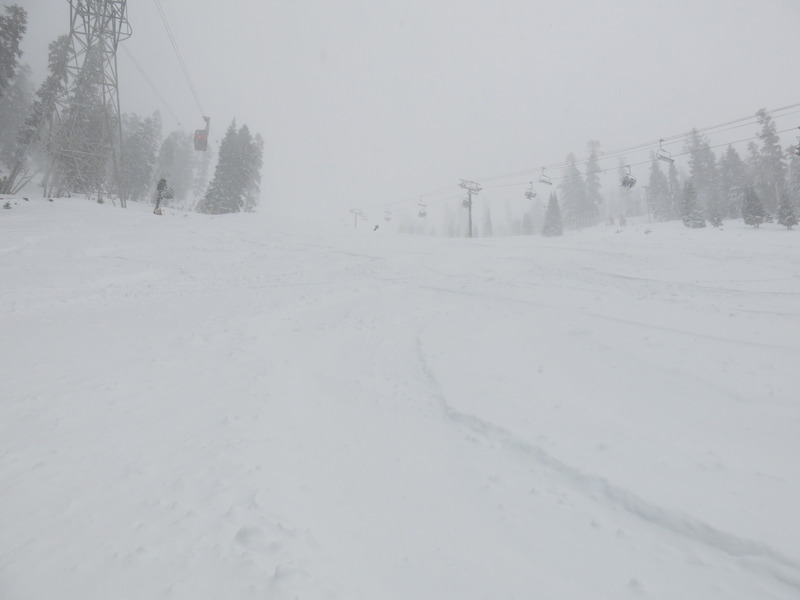 Conditions were actually pretty good at Kirkwood due to the 28″ of fresh snow received in the last week. 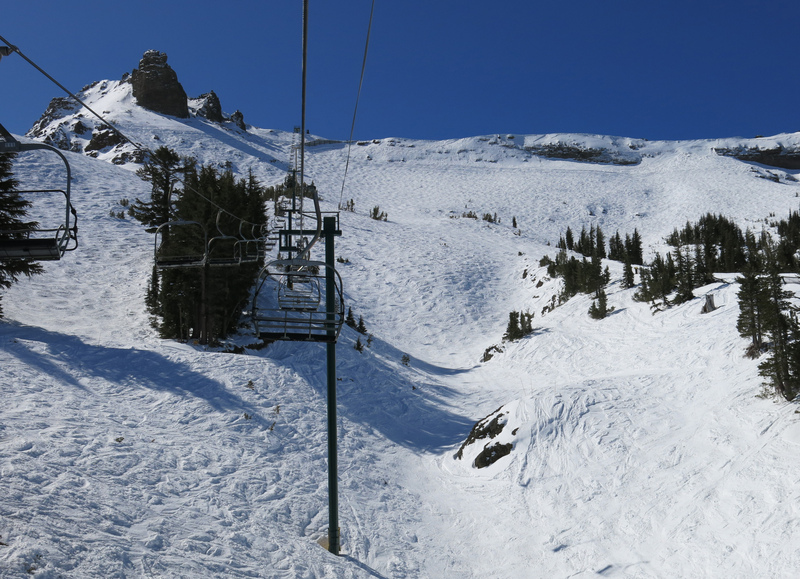 There were still some pockets of soft dry snow on north-facing steeper slopes. The steep stuff was skiing well and the groomers never slushed up. The total snowfall for the year is 187″ for them, which will probably be it for this season since nothing is expected next week. That is historically low, but not bad when compared with the average for many resorts on our list. Heavenly wasn’t very good at all. It was surprisingly cold and windy, which made for very icy conditions. There are really only 5 main long runs left open, so a couple of runs on each makes for a short day. It’s been a super challenging year for them, and the 85″ of natural snowfall this season is just not enough — even with the 300+ acres of snowmaking they have. That is only 28% of the average reported snowfall of 304″ from 2008-2014, and that’s at the snow measuring altitude of about 8,600′. Basically no snow fell below 7,500 feet this year. 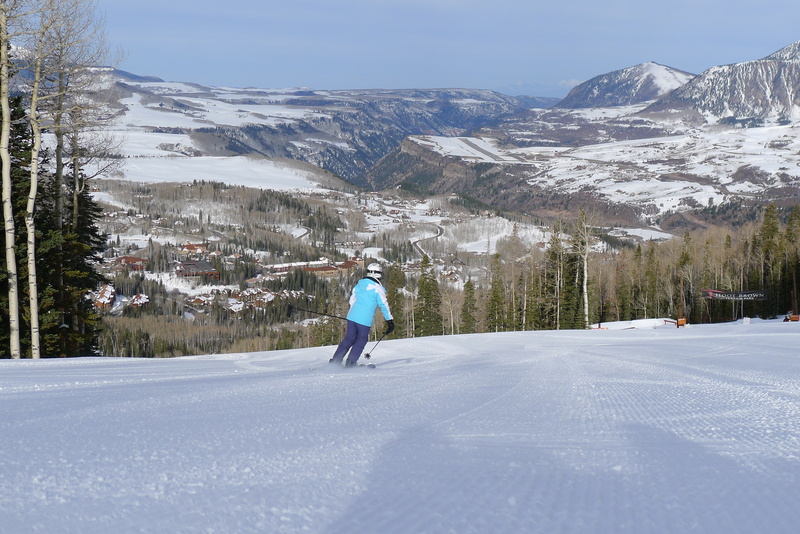 Still, it’s fun to ski our home resorts and any day on the snow is a good one. This entry was posted in Uncategorized on April 11, 2015 by Ron Thompson.